Boeing on December 10 launched the BBJ 777X, described by the company as a new business jet model that can fly more than half way around the world without stopping, farther than any business jet ever built. “Our most exclusive customers want to travel with the best space and comfort and fly directly to their destination. 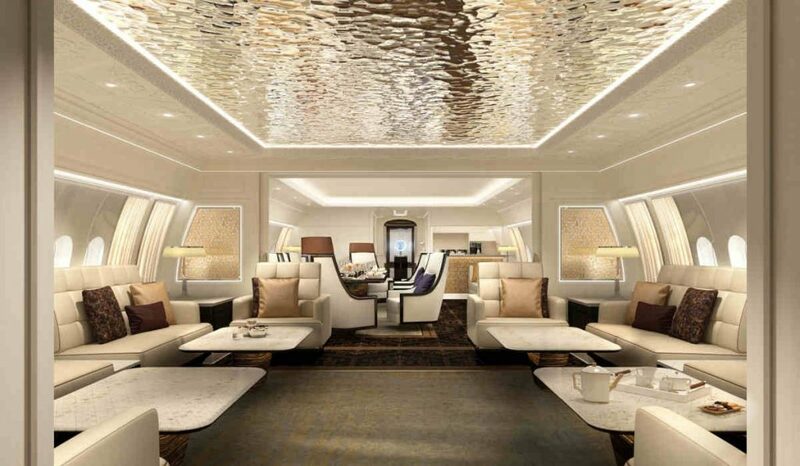 The new BBJ 777X will be able to do this like no other airplane before it, redefining ultra-long range VIP travel,” said Greg Laxton, head of Boeing Business Jets, at the bi-annual Middle East Business Aviation Association Show (MEBAA), where the BBJ 777X was officially launched. Customers can choose between two models: the BBJ 777-8, with a range of 11,645 nautical miles (21,570 km) and a 3,256 sq. ft. (302.5 sq m) cabin, and the BBJ 777-9 with a larger cabin measuring 3,689 sq. ft. (342.7 sq m) and a rated range of 11,000 nautical miles (20,370 km). To demonstrate the versatility of the airplane’s cabin space, Boeing Business Jets (BBJ) unveiled interior concepts from three design firms: Greenpoint Technologies, Jet Aviation, and Unique Aircraft Design. Also during MEBAA, Boeing announced it booked another order for its BBJ MAX family. The order from an unidentified customer brings total orders for the BBJ MAX to 21. Based on Boeing’s 737 MAX airplane, the BBJ MAX offers more than three times the cabin space as most of its competitors, a lower cabin altitude, and the ability to fly 7,000 nautical miles (12,964 km).